Whether you manufacture textiles or electrical components, it is completely possible to build a blog that effectively engages customers and helps drives leads for your company. Despite common claims that manufacturing is just too boring to effectively run a blog campaign, manufacturing companies have and can utilize blogging to engage customers, grow leads, and generate new business. Learning how to blog effectively for your manufacturing company may not be a walk in the park, but taking the right steps will make all your efforts worth it. Set goals: Why does your company want to start a blog? Are you looking to grow leads and customers through inbound marketing? Are you looking to keep customers informed? Set goals for your blog that align with your overall marketing goals. Learn more about goal setting here. Develop buyer personas: In manufacturing, you probably have several different buyers from distributors to the end-user. Each of these buyer personas with different pain points and goals. Defining the buyer personas that are most likely to provide a return on investment will help you develop blog content that is well-aligned to those buyer personas. Build a blogging calendar: A sure way to fail with a blog in any industry is to not hold yourself accountable in producing a consistent blog schedule. A blog calendar ensures you always have an idea on deck and prevents you from procrastinating with blog efforts. Utilize content offers & conversion paths: Although the klout you receive from blogging is nice to have, a blog should also effectively help you grow lead conversions from your website and online channels. Your blog can attract prospects, but you also need content offers like eBooks, white papers, or webinars to convert those prospects into leads. Content offers with an effective conversion path, which consists of a call-to-action (CTA), landing page with a form, thank you page, and thank you email, will increase the leads and customers you gain from blogging. Share the latest industry news: Is there a new government standard that will affect your customers? Have recent advances in technology shifted the industry? A blog will give you the opportunity to keep your audience informed on these types of updates. Share case studies or a customer story: You’ve likely come across customer stories or a unique case study that you’re already sharing throughout the company, so why not share it on your blog? This type of blog will help to build your company’s social proof and help to speed up the sales process. Avoid making it all about the product: In manufacturing, a common mistake in blogging is to focus on the features and capabilities of the product, but this information is readily found on your website’s product pages. Thus, you should avoid talking about your product too extensively on your blog because people will come to read it only if it offers valuable, non-biased information. 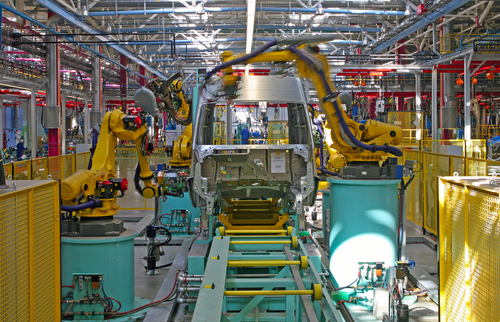 Are you a manufacturing company considering a blog campaign but aren’t sure where to start? Share your questions below!